“MF Ampere”, the world’s first fully battery-driven car ferry, owned and operated by Norled, was put into operation in May 2015. This advanced, zero-emissions ferry is an integral part of Norway’s highways and transport system. The vessel operates along a 5.7-kilometre crossing of Sognefjord between Lavik and Oppedal. It makes about 34 trips a day, each taking about 20 minutes, excluding the 10 minutes spent in loading and unloading vehicles and passengers. A second car ferry, “MF Oppedal” operating on the same route will also be fully battery-driven. Blueday Technology has been contracted by Norled to convert the existing diesel-electric ferry to a fully battery-powered vessel. The contract also includes upgrades to the onshore power facilities at both Lavik and Oppedal. Hans Petter Heggebø, CEO at Blueday Technology says; “We are proud of this award. It confirms the confidence we have in our power generation conversions that combine our technologies and knowledge of the marine sector. This achievement also consolidates our long-term relationship with a key client (Norled), and strengthens our presence in the ferry conversion sector, which we at Blueday Technology regard as a strategic market”. “Blueday Technology and GMC Maritime have joined forces to create a “one-stop shop” providing a multitude of services, and offering our customers the convenience of having all their needs met at a single location by one supplier. The concept has recently been launched and has received fantastic feedback from our customers”, says Heggebø. “We’re selecting Blueday Technology as our supplier for this contract because of its power generation system and its commitment, in collaboration with GMC Maritime, to meet all our requirements and expectations linked to this project”, says Karolina Adolfsson, Project Manager at Norled. “It is our expressed ambition gradually to reduce emissions produced by the Norwegian ferry fleet. 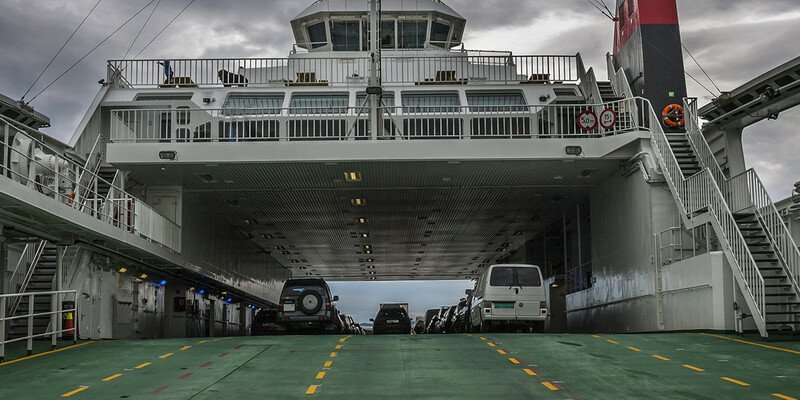 For longer journeys we are still waiting for cost-effective systems to mature, but for shorter journeys we will continue to employ battery-powered ferries, which reduce local emissions by 100%”, says Adolfsson. Blueday’s operations centre in Stavanger will implement this contract, which is planned to be completed during the second half of 2018. Norled AS is one of Norway’s largest ferry and express boat operators. The company has 80 vessels and operates ferry and express boat services from Oslofjord in the south, to Troms county in the north. Norled has made significant investments in new vessel types and eco-friendly technology, and has developed systems used solely by the company. The company has over 1,000 employees and an annual turnover of NOK 2 billion. It has its head office is in Stavanger and branch offices in Bergen and Oslo. Norled AS is a wholly-owned subsidiary of the shipping company Det Stavangerske Dampskibsselskap AS. GMC Maritime is a Norwegian, family-owned, industrial company, established in 1973. From its headquarters in Stavanger, Norway, it offers multidisciplinary services and products to the global marine and offshore industries. During 44 years of operations, the company has grown from a small workshop-based business into a major supplier of integrated services and products for vessels, oil rigs and platforms.